I think that this cookie bit can never get old. There is always someone out there craving BUTTTAHH. 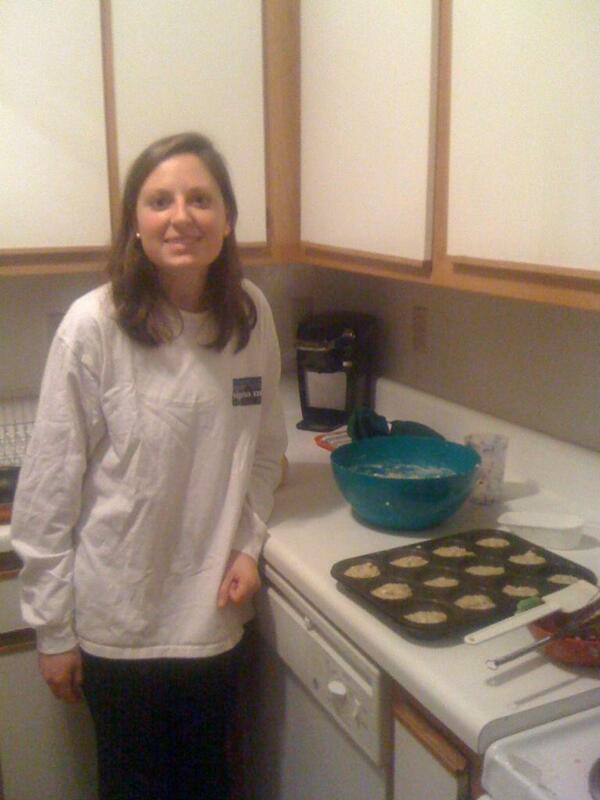 Well, at least Paula will always support cookie-making. This picture above sums up my afternoon on Tuesday. 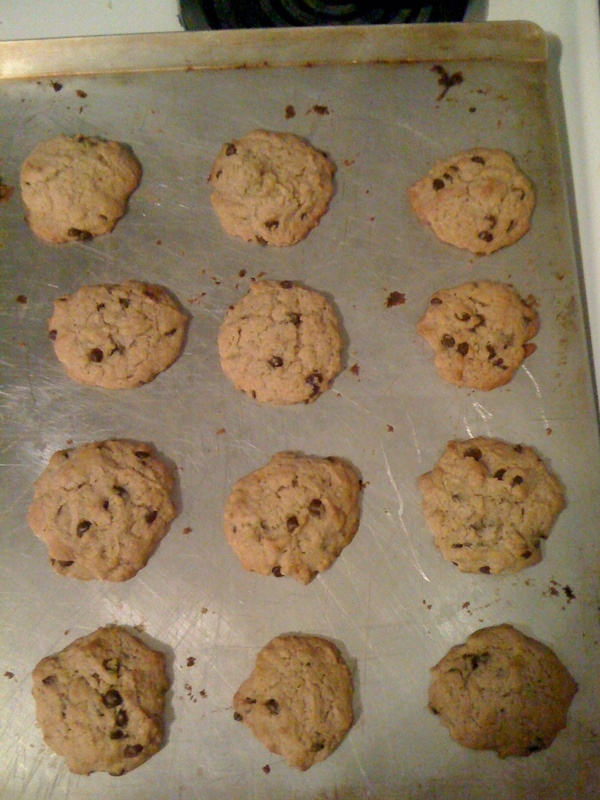 The freak warm weather we had in Charlottesville spurred a walk to retrieve a six-pack and of course, cookie-baking. Yet again, Arianna and I are into the banana-chocolate-peanut butter craze that the rest of the female population in America obsesses over. We baked most of these for a friend who just had surgery, but they turned out to be a great pairing with this classy beer “importada.” Find the recipe here at HowSweetEats! 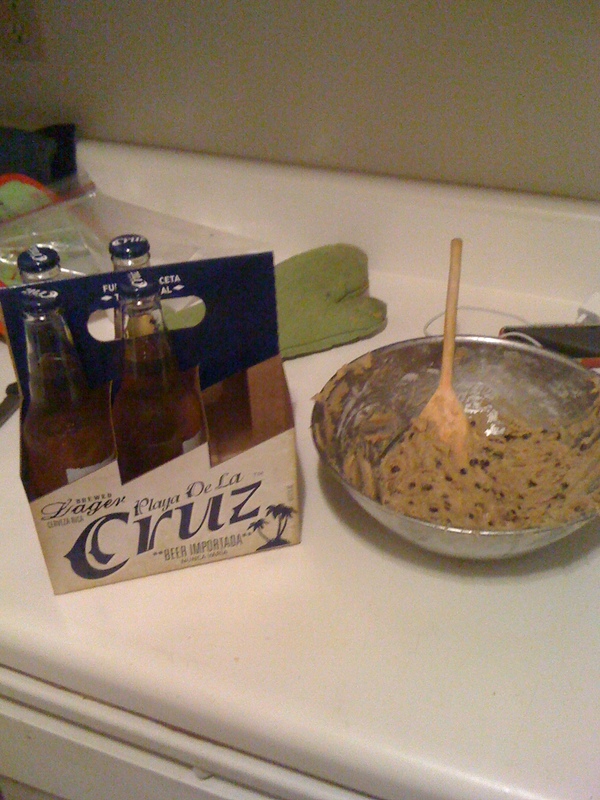 Nice weather + chacos + beer + cookies. Good day. These wintry days have given my cumbersome industrial-size soup pot some actual use! Spurred by a plethora of random ingredients, a desire for a cozy dinner, and a necessary few hours of Girls re-runs, this italian soup was quite a success!! Bake 3 chicken breasts at ~425 degrees F for around 25 mins. Cover it in some EVOO, salt, pepper, and whatever seasonings you’ve got that seem Italian-y. We used a mix of garlic powder and herbes de provence. Ours didn’t quite cook all the way through, but that’s cool because it cooks through in the soup! To start, heat some EVOO and let the onions sweat until translucent. Add your garlic and sautee for 1-2 mins. Add the carrots and celery, a dash of salt, and let cook for around 4-5 mins until the veggies get soft. At this point, our chicken was about ready, so we diced it and added the chicken in. Add your herbs, the rest of the salt and pepper, chicken/veggie stock, and WINE (this was our fave ingredient)! Luckily, Katherine showed up with the pasta right as we added the cooking liquid, so in goes zeee pasta! If you have too little liquid, make sure to add some water at this point, because the pasta will absorb a lot of the stock and you don’t want it to turn into a lot of pasta and a little soup. 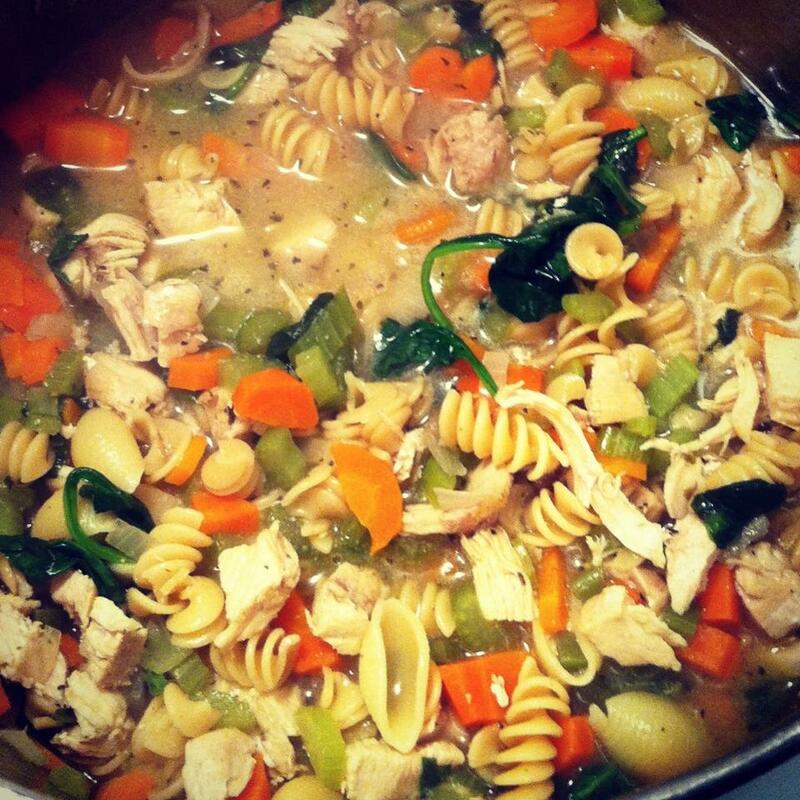 Bring your soup to a boil and then let simmer until the pasta is done. 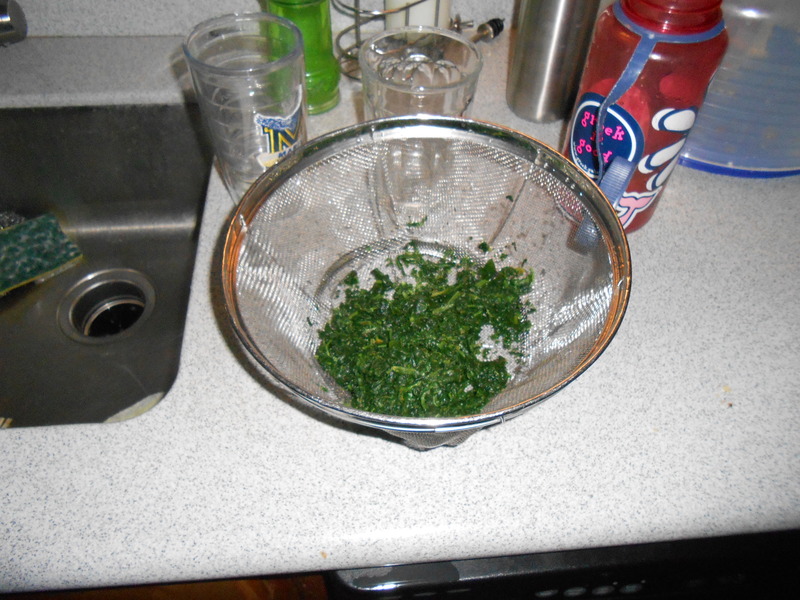 Right before serving, wilt in some spinach leaves. We had some parmesan cheese as a topping as well. Enjoy with some hearty bread or if you don’t have it, make Jiffy corn bread like us! 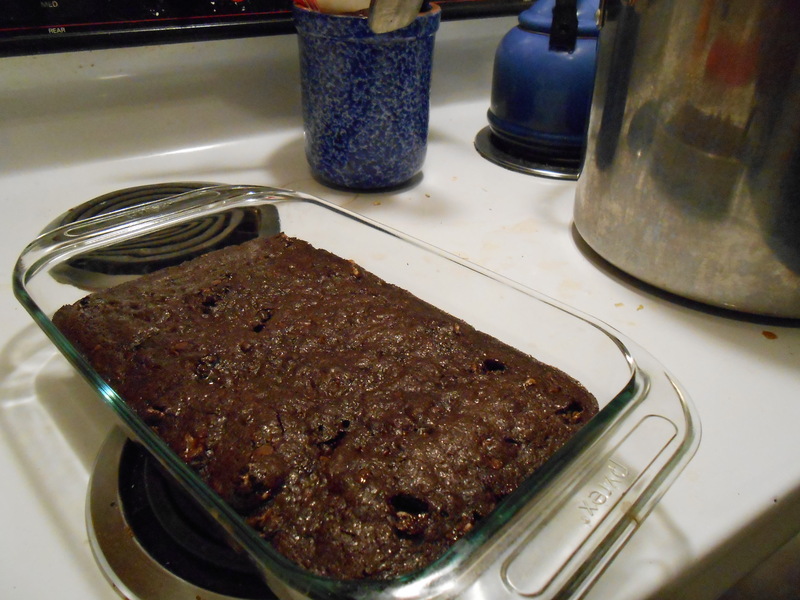 Post-dinner we had some gluten-free brownies tricked up with some leftover reeses and york peppermint patties! 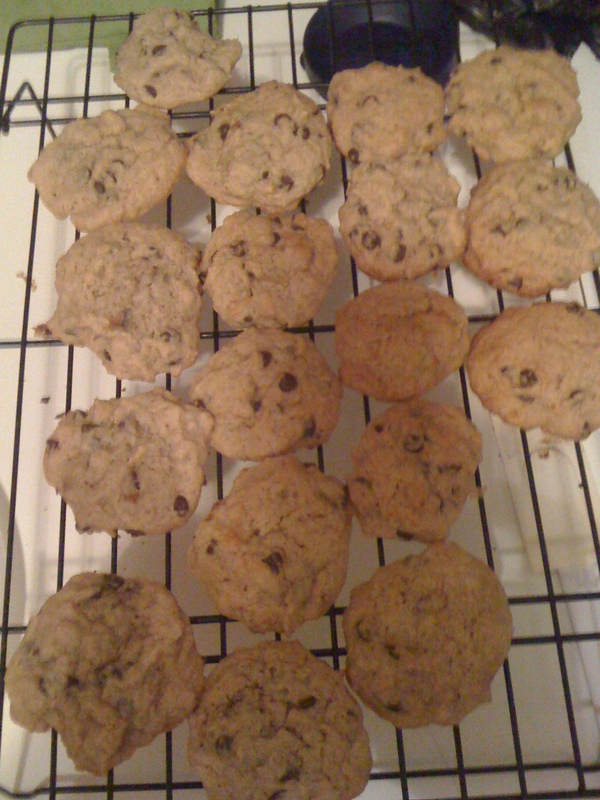 the first bake-out of second semester fourth year!! 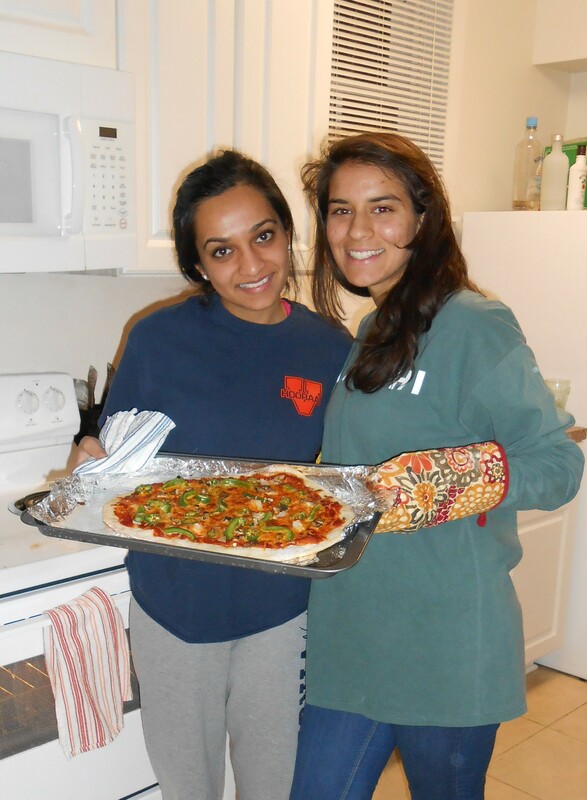 I love that when I come back to school, there is always someone to bake with! And subsequently many hungry or just plain sweet-obsessed friends that are willing to eat some sweet goodies. From lazy cold afternoons to stress-induced exam baking, there have been many an occasion for baking up sweets for a crowd. 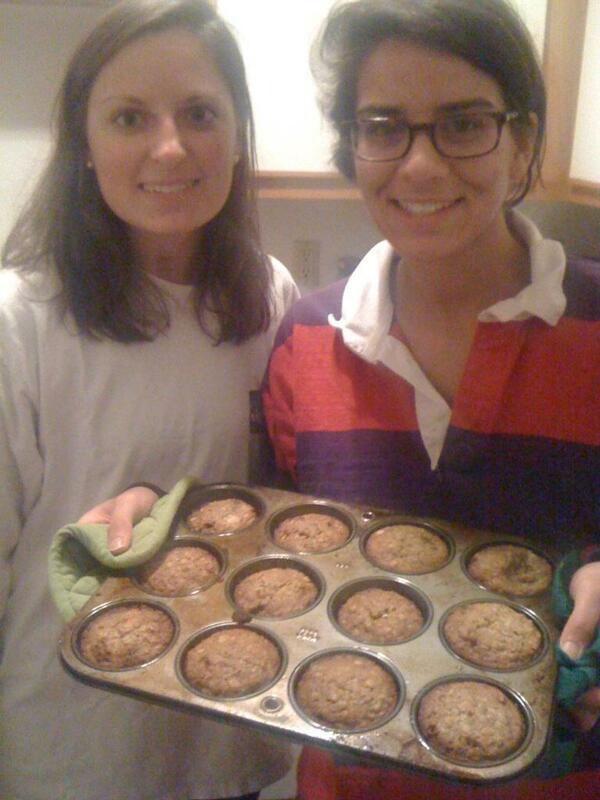 My first bake-out back at school consisted of baking some banana oatmeal muffins with my lovely baker friend, Arianna Parsons. While my strengths lie in full pantries and recipe searches, she holds the key to one of the most important skills in baking: measuring ingredients. With a few almost-rotten bananas, oats (my fave baking ingredient), sugar, flour, milk and eggs, we whipped up some delicious muffins that are good as breakfast or dessert. Here’s the banana oatmeal muffins recipe for ya. Enjoy! 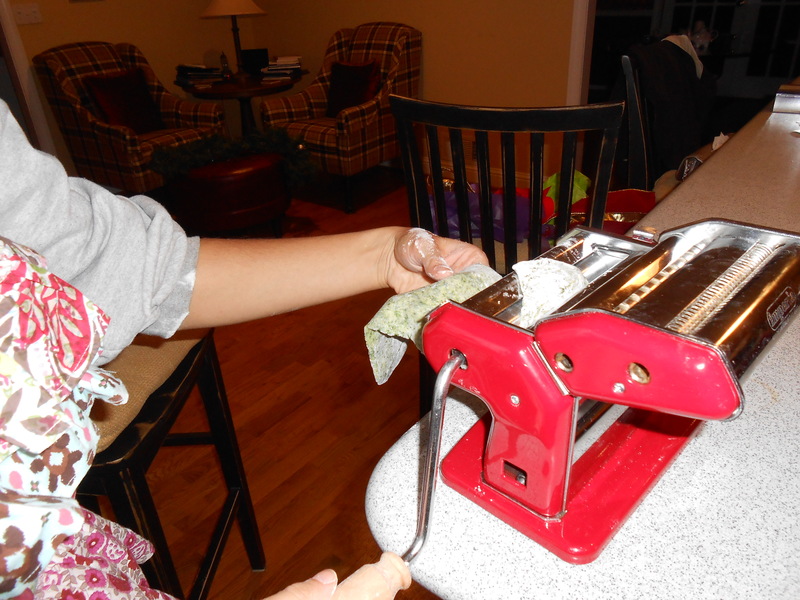 As I’ve said before, using the pasta machine takes way more than a few rolling-pin rolls and definitely requires some help. In fact, it’s been the perfect bonding experience for my mom and me when I’m home over break. 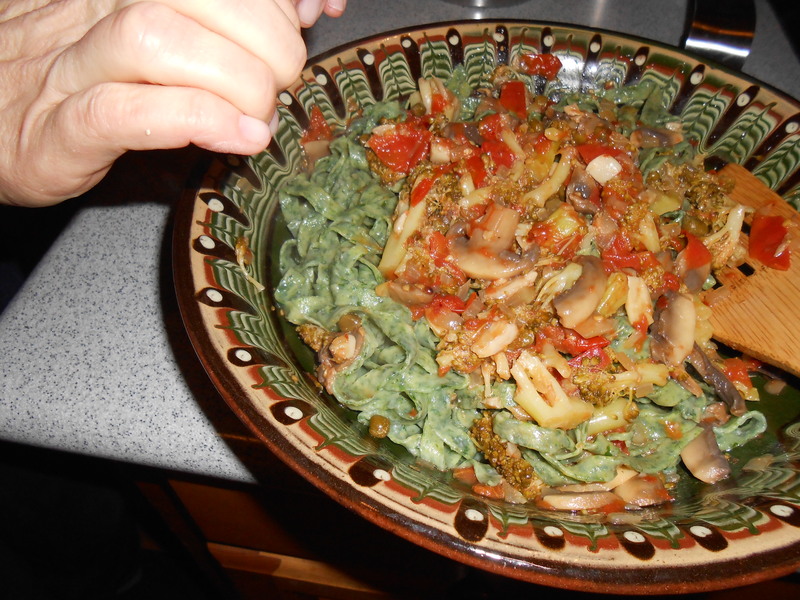 My dad does this thing where he takes all the leftover vegetables and makes awesome pasta sauces with them. 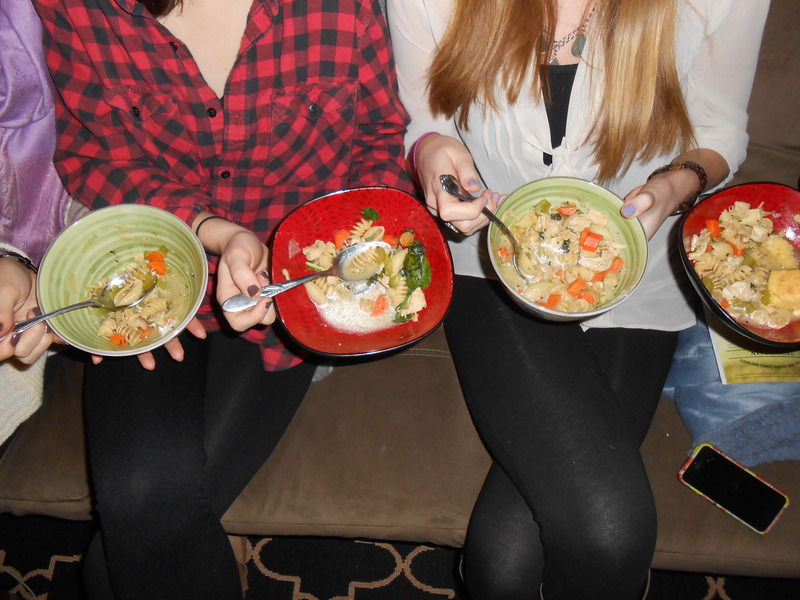 So, it turned out to be a family cooking affair that for once didn’t result in too many cooks in the kitchen. I actually got this recipe from an old pasta cookbook we’ve had since I was little, but you can really find homemade pasta recipes anywhere! This food processor has been a great resource for making doughs. 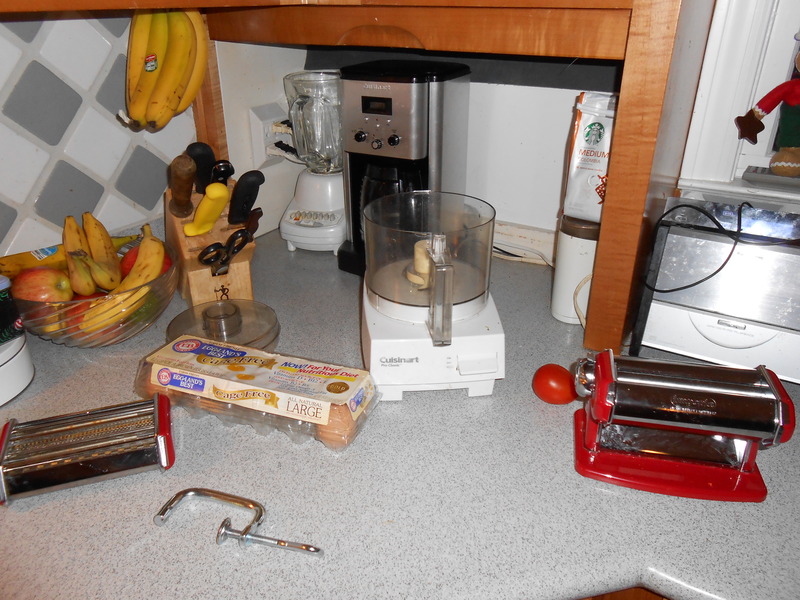 Here’s our main components: food processor, pasta machine, eggs, and the flour is somewhere over there. 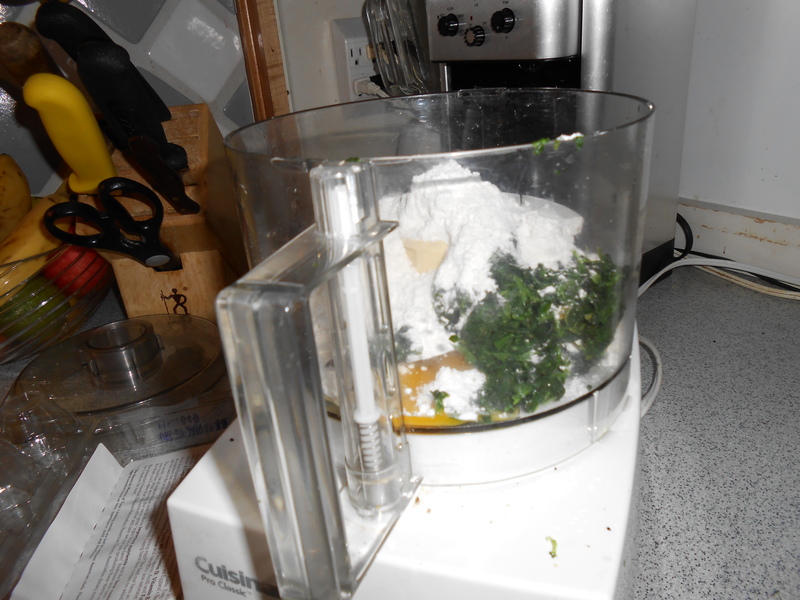 Combine your flour, eggs, a bit of salt, and spinach in the food processor, pulse until it forms a sticky ball. At this point you can refrigerate for a few hours if you want before you prepare the pasta. 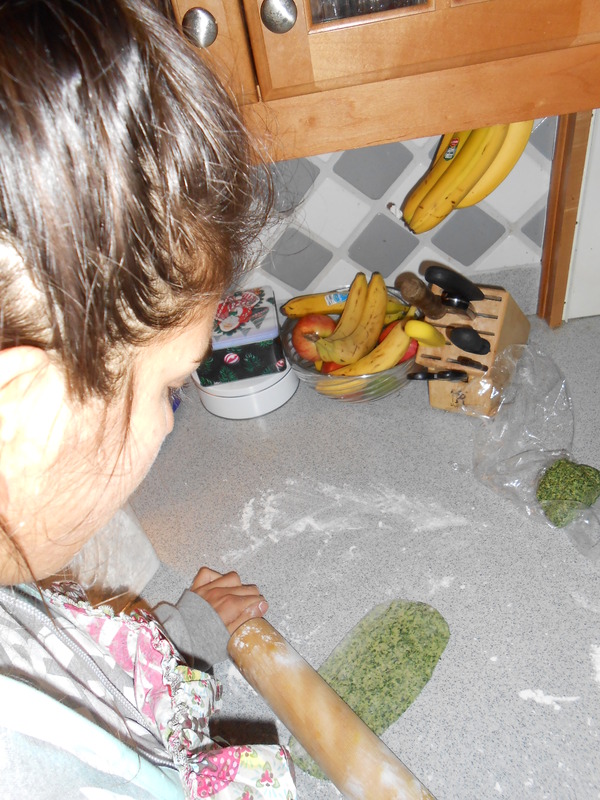 Once you are ready for greeny goodness, break up your dough ball into 3-4 pieces to work with. LIBERALLY dust your surface with flour, and by that I mean create a flour beach on your countertop. 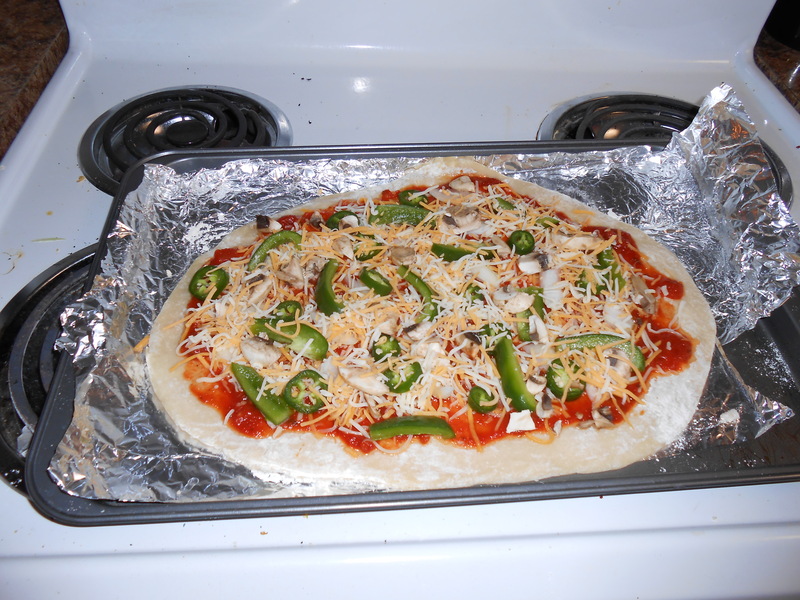 Keep rolling out your dough, folding it in thirds over and over again, until its ready to go through the machine. 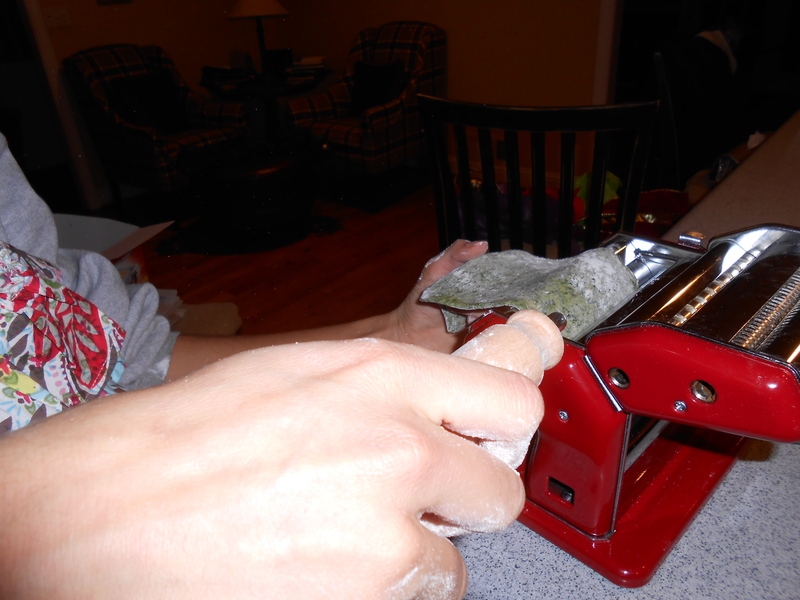 If you don’t have a pasta machine, no worries, you’ll be getting the rockstar arms after your rolling pin workout! You’re going to keep rolling the strips through the pasta machine, narrowing the settings after about 2-3 times through each. After your roll is as thin as you want it, go ahead and slice it through the cutting section of the machine. While the strands are waiting to go in the water, place them on a lightly floured baking sheet. Then, when your salted water is boiling, drop in the pasta and cook for a mere 2-3 minutes. 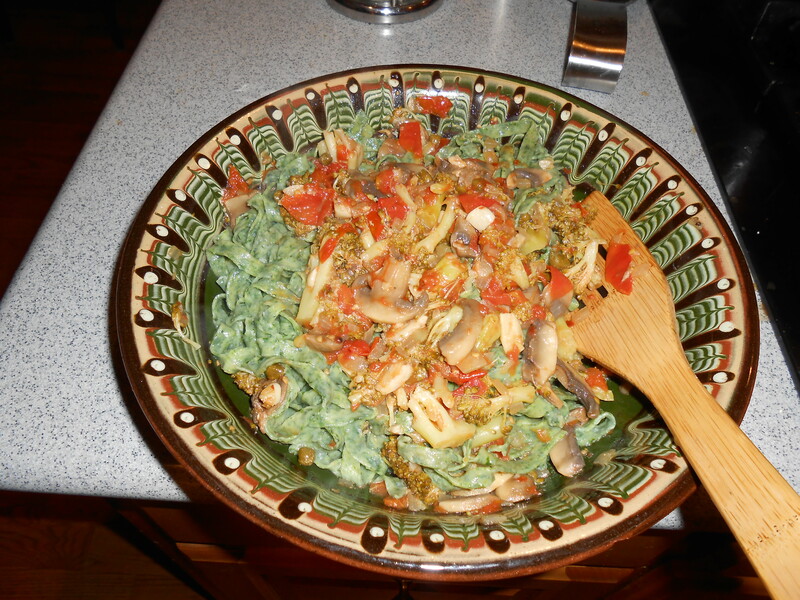 These pictures don’t really do the pasta justice, but it turned out to be delicious! Happy Italian!